We are coming to Brecon in January, with not one, not two but three events!! Watch this space, and put Wednesday 25th January in your diaries! PQASSO helps third sector organisations take a systematic look at what they do, identify areas where they are doing well and not so well, and decide exactly where improvements are needed. PQASSO covers all aspects of an organisation's work including governance, planning, leadership and management, managing people, managing money and outcomes and impact. Once an organisation has implemented PQASSO it can apply for the PQASSO Quality Mark, the external accreditation for PQASSO, which shows that the organisation has achieved the PQASSO quality standard at a particular level. Want to be more effective and efficient in how they work. Find out more about the PQASSO Essentials pilot and register to take part. 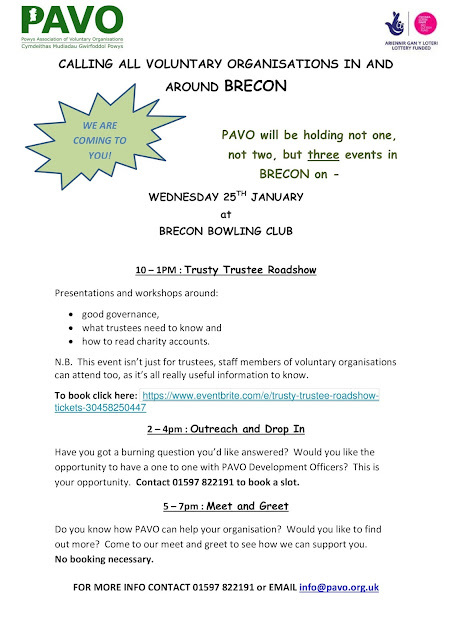 To find out more about PQASSO and PQASSO developments in Wales please contact Heledd Kirkbride, PQASSO Engagement Officer at heledd.kirkbride@ncvo.org.uk or 07890 637865 | 029 2043 1716. Christmas has come early for some and we are delighted to report that 13 Powys groups have been awarded funding through the Big Lottery Celebrate grant. A total of £20, 561 pounds has been awarded for a fabulous variety of celebrations in local communities. Congratulations to all on their success, let the celebrations begin! The Third Sector Partnership Council (TSPC) Working Group has commissioned a survey to gather the views of TSPC network members on the strategic, cross-cutting priorities for influencing during the fifth Welsh Government. Feedback will help the TSPC Working Group to choose the two most popular issues to focus on for 2017/18. Survey on Priorities for the TSPC for 2017/18. The survey is open from 12 December 2016 – 13 January 2017. The results will be analysed and considered by the TSPC working group in spring 2017 and progress will be reported through TSPC networks and via WCVA’s website and Network Wales magazine. You can also read the blog about taking stock and forward planning for the Third Sector Scheme 2017/18. Celebrate Local Charities Day on Friday 16th December with match funding, training & more! Friday 16th December sees the launch of Local Charities Day - a dedicated day to shine a spotlight on small, local charities and help them to thrive by demonstrating the vital work that they do. Click here to read more about the day. Here is a summary of some of the ways that you can get involved with the day and we'll be in touch again soon with more on each of these! Join Localgiving's 'Grow Your Tenner' where they will be matching one-time donations by up to £10 and regular monthly donations by up to £10 a month for the first three months. Each local group taking part in the campaign is eligible to claim up to £2,500 of match funding! This has been contributed to by a private philanthropist and the Office for Civil Society. On December 16th #GiveMe5 will double the value of 1,000 x £5 donations made over a 24hr period. To take part, charities simply need to be a member of Localgiving, which is entirely FREE for Small Charities Coalition Members! To take part in these opportunities you need to have an active Localgiving membership. This normally costs £72 per year but Localgiving are generously giving away 12 months free membership to Small Charities Coalition members until then end of 2016. To sign up click here and enter code SCC2016. For more information head on over to Localgiving's website. 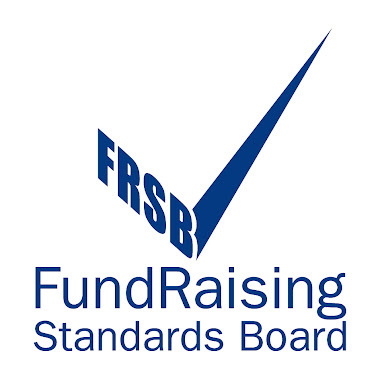 You can check out the Local Charities Day training from Global Giving and webinars from the FSI, both of which are also FREE! You can also join in on the Twitter conversation with the #LocalCharitiesDay Thunderclap! Tesco has announced that starting on Thursday (1 December) its customers can vote each month for their favourite community project. Bags of Help is Tesco’s local community awards programme where the money raised from the 5p bag levy in Tesco stores is being used to fund community projects across Great Britain. A public vote determines which groups will get a grant of up to £5,000, £2,000 or £1,000. The announcement is a shift from Tesco’s previous policy of awarding grants every nine months through the Bags of Help initiative. A monthly vote means that thousands more community projects in England, Scotland and Wales will benefit. Voting will now take place from the first of the month to the last Saturday of the month, with projects changing monthly. The funding is intended for not-for-profit organisations with projects that deliver physical environmental improvement and encourage the use and long-term sustainability of outdoor spaces. Projects include volunteer training, physical improvements of open spaces, equipment purchases, community events and sports and leisure activities. Projects can be a stand-along project or a discrete, self-contained part of a larger scheme or part of a phased project. An in-store vote each month determines which projects are funded. Three local community projects will be voted on in Tesco stores each month across 200 regions throughout England, Scotland and Wales. In each region, the three projects that receive the most votes from all stores in their region will receive a grant awarded for first, second and third place. According to Groundwork, which administers the fund, more than 7,000 projects will receive funding through this scheme each year. Applications will be accepted from not-for-profit organisations in England, Scotland and Wales as long as they are constituted and have a governing document. "I’ve seen first-hand the diversity of brilliant projects, ranging from outdoor classrooms, sports facilities, community gardens, play areas and everything in-between. "In order for even more local projects to benefit from this money, customers will now be invited to vote for their favourite community projects every time they shop with us." The programme is managed by Groundwork, an environmental improvement charity, in England and Wales and in partnership with greenspace Scotland in Scotland. Applications can be made at any time and are assessed monthly.